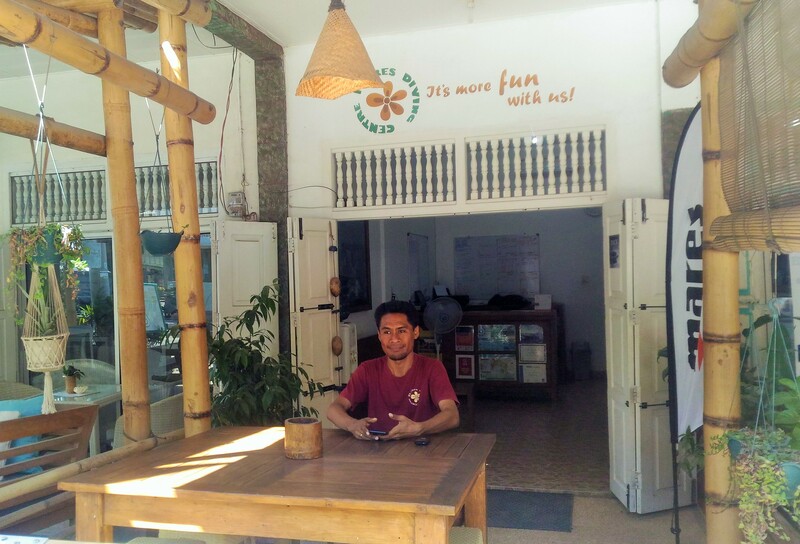 Flores Diving Centre opened in March 2013 and is comfortably located on the main street of Labuan Bajo. 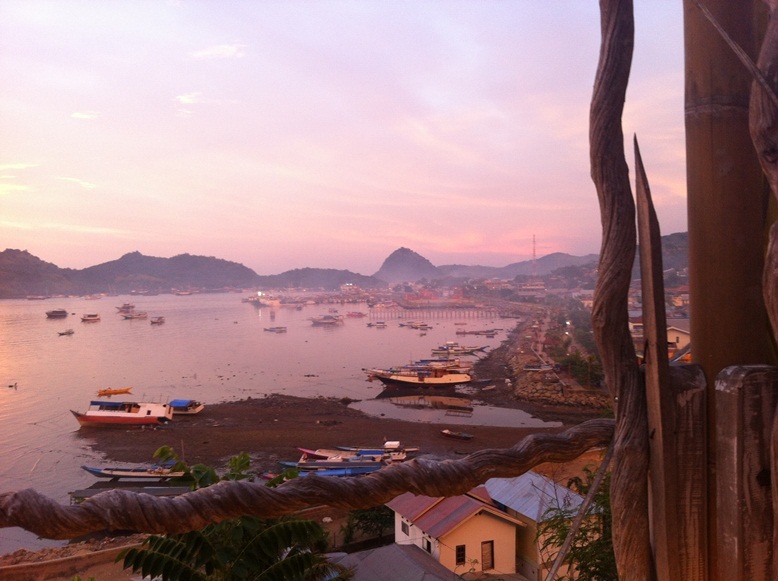 This bustling fishing village nests on a beautiful bay on the west coast of Flores overlooking the Komodo National Park. The optimal location of the dive centre means a short walk to the harbour. From there divers can board our boat and be on their way to the magnificent dive sites of the Komodo National Park in just a handful of minutes. The diving centre comprises an outer covered area with table and chairs. This is the ideal place for chatting with fellow divers, updating logbooks, reading or just relaxing in the shade after a dive trip. Inside the building is our office/reception and, behind that, a classroom with everything you need for your courses. 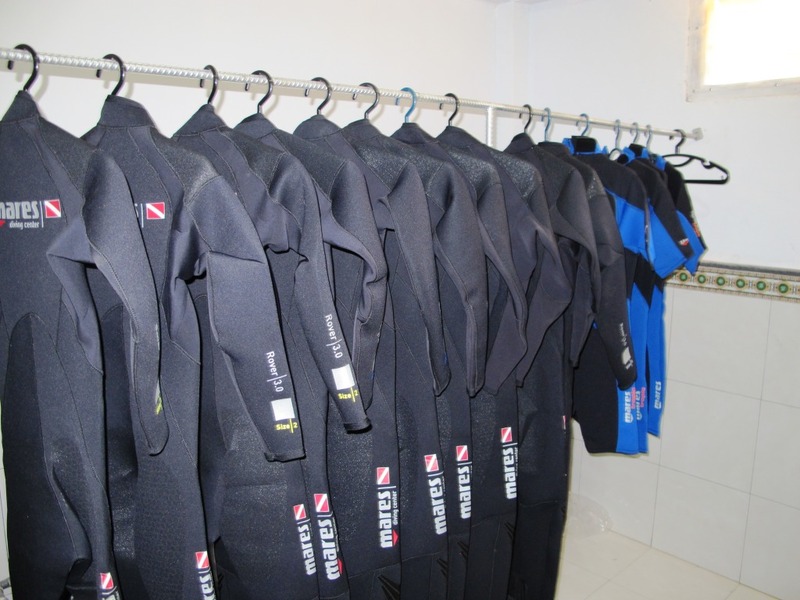 We also have a separate storeroom for all our diving and snorkelling gear. Our equipment is in top conditions, regularly inspected and routinely replaced when worn out. 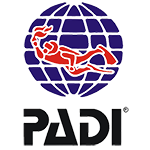 We have plenty of full-length and short 3 mm wetsuits, Mares BCDs & regulators, Amscud masks & snorkels, open-heel and full-foot fins. We also have 12 lt aluminum tanks with dual-standard DIN/Int valves.